The short answer is, as quickly as possible! But follow these steps to get the most out of your ramen experience. 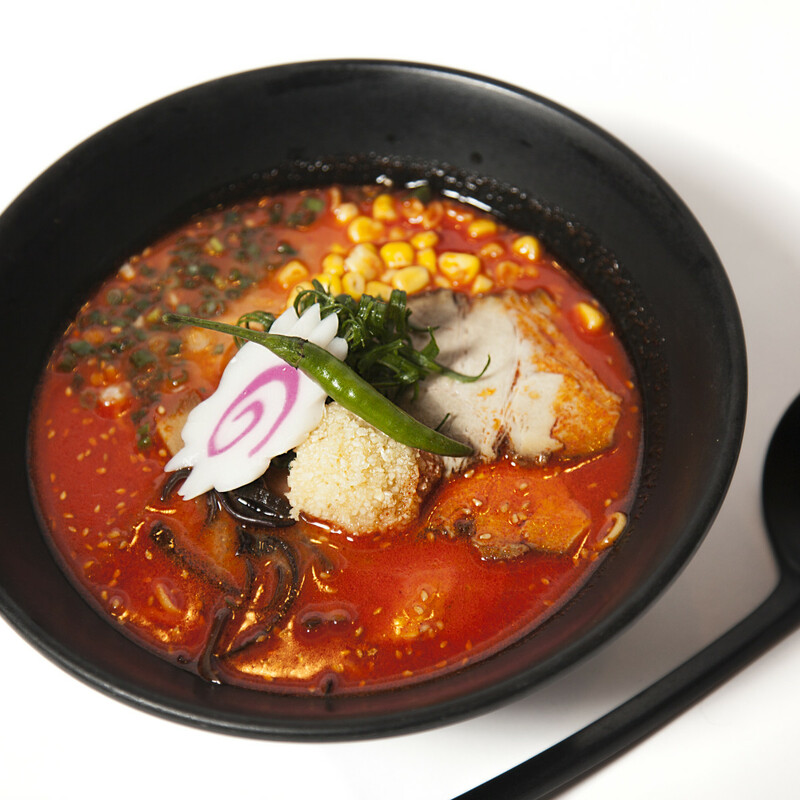 Start eating your ramen as soon as it arrives. Do not wait for everyone at the table to get their ramen. Ramen waits for no one. Now, taste the broth on its own before it has time to soak up all the flavours of the other ingredients. Take a small sip directly from the edge of the bowl, or use a spoon if you like, but always taste the broth in its purest form to start. Now, take the pork and push it down into the bottom of the soup bowl so the fatty part becomes tender and flavours the broth. Do not be shy to make the slurping sounds! This is the proper way to eat your ramen. Now you can being to mix in toppings with your noodles, and enjoy the soup however you wish. It’s best to try to finish your ramen in about 10 minutes, so everything is hot and robust. Now you can sit back and enjoy the warm feeling of finishing your delicious bowl of ramen.